Seoul: Finance Minister Kim Dong-yeon (L) speaks to reporters after his breakfast meeting with Bank of Korea Gov. Lee Ju-yeol (R) in Seoul on July 16, 2018. 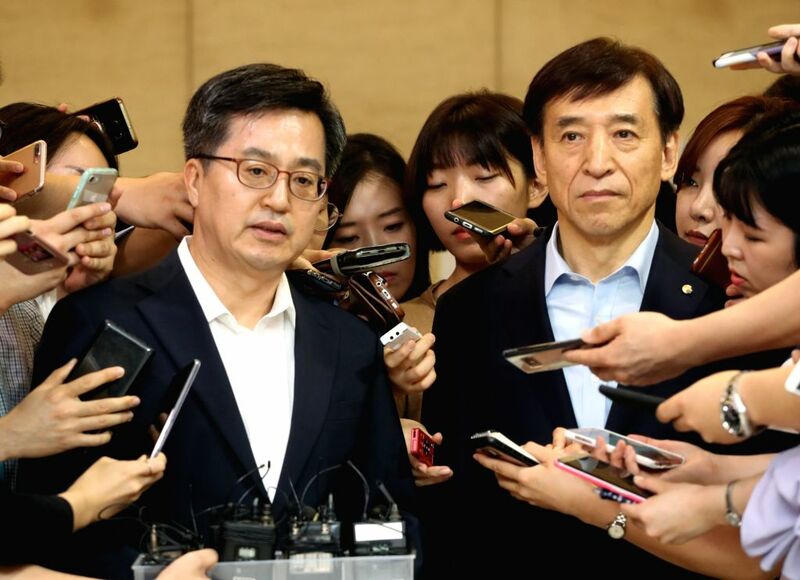 Kim expressed concerns over the double-digit hike in the minimum wage, agreed on by the Minimum Wage Council the previous week, saying it could burden the economy by affecting the job market. The meeting with the central bank chief dealt with South Korea's economic conditions.